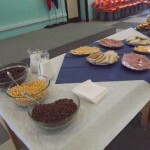 For this years’s goal of Social Awareness, the year 4 classes organised a Healthy Breakfast. We collected money which will be sent to Caritas. 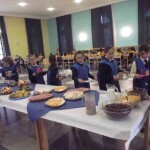 The children also appreciated the fact of how important it is to start the day on a good note and have a varied and healthy breakfast. 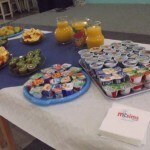 We immensely thank Ms. Mary Baldacchino, Ms. Maria Genovese and Ms.Elaine for their help in setting up the breakfast items in such an artistic fashion. The girls enjoyed this activity and learnt so many things out of it. 1. 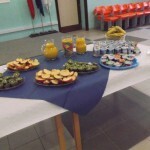 The importance of having a healthy breakfast. 2.The importance of helping people in need. 3. Working as a team. We are sure that the children will treasure this experience just as we will treasure it ourselves. A big thank you also goes to the parents who are always so kind and generous.